The author includes info on how to write different fonts, along with sheets on which to practice + trace the fonts. I, unfortunately, was not able to take advantage of those pages, since I read a library copy, but it looks very helpful. Mrs. Luiz also recommends some of her favorite tools for hand-lettering, which was good information to have (except now I have one more thing to spend money on… 😛 ). From the title, I was hoping that there would be some kind of Christian emphasis, but that is not the case. However, I still really liked it and I definitely recommend this book to anyone who is interested in learning more about hand-lettering. 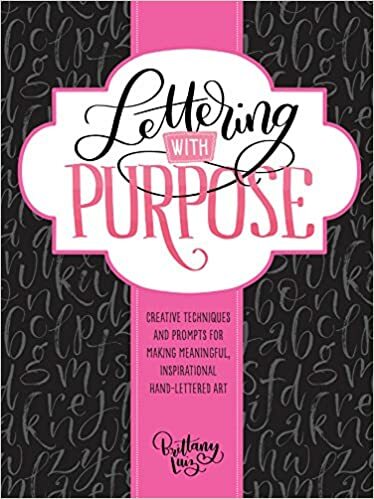 I love handlettering and crafting and I have this book too! It’s a great book to get started in hand lettering and has many prompts and projects to get started on or if you are ever in a creative rut.